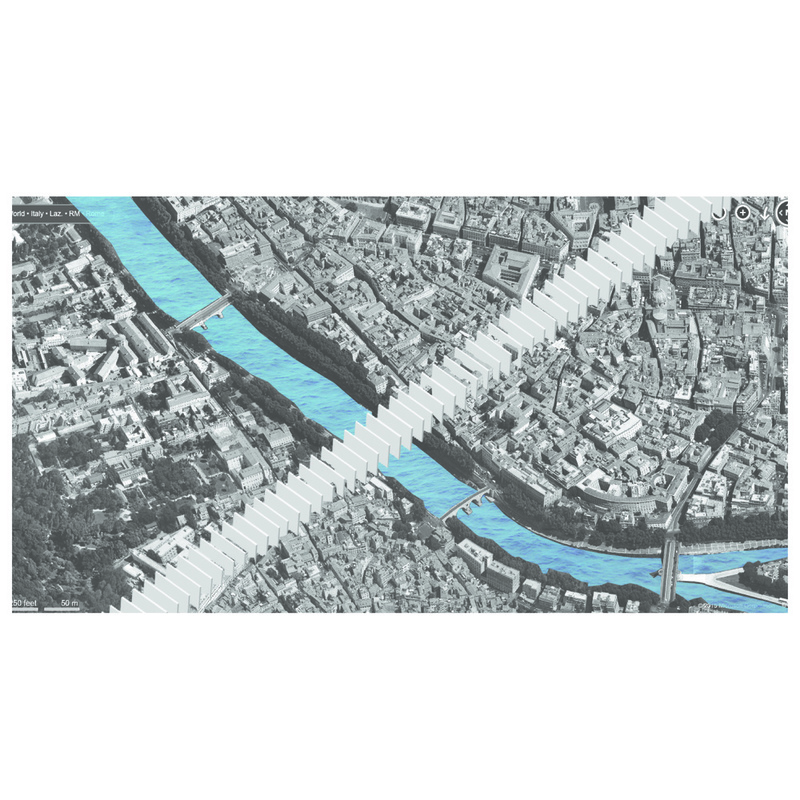 The Tiber River, once an essential urban component in Rome’s urban fabric, has become a disconnected entity that exists almost entirely independent of the city. This proposal implements three stages of abstraction, where an element of the existing site condition is abstracted & therefore becomes an entirely new element. These formal and programmatic abstractions produce an unfamiliar installation that provides Romans with a clean slate for personal re-interpretations of the Tiber in vignettes that it frames. connecting the central axis of the Palazzo Farnese with the Villa Farnesina across the Tiber River was proposed by Michelangelo almost 400 years ago; however, since his proposal, bridges have been built around the site and large roads have been built, further disconnecting these two points in the city as well as changing their relationship with the Tiber. 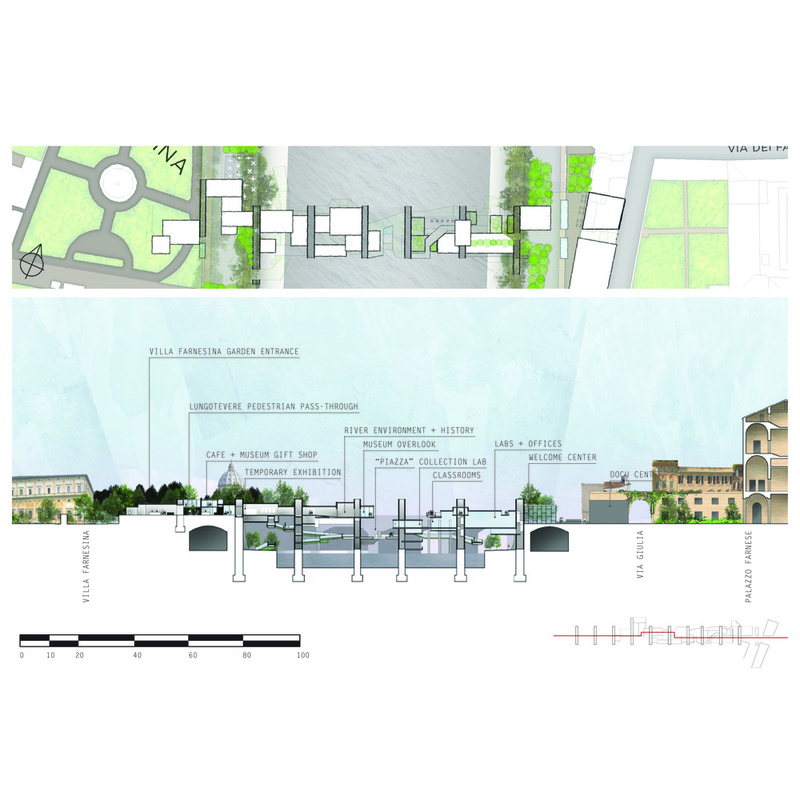 The proposed garden path would connect the Villa and Palazzo at the level of the city but also on the level of the river walks below, winding around and within our project to frame new views of the city and culminating in an elevated piazza in the center of the project. 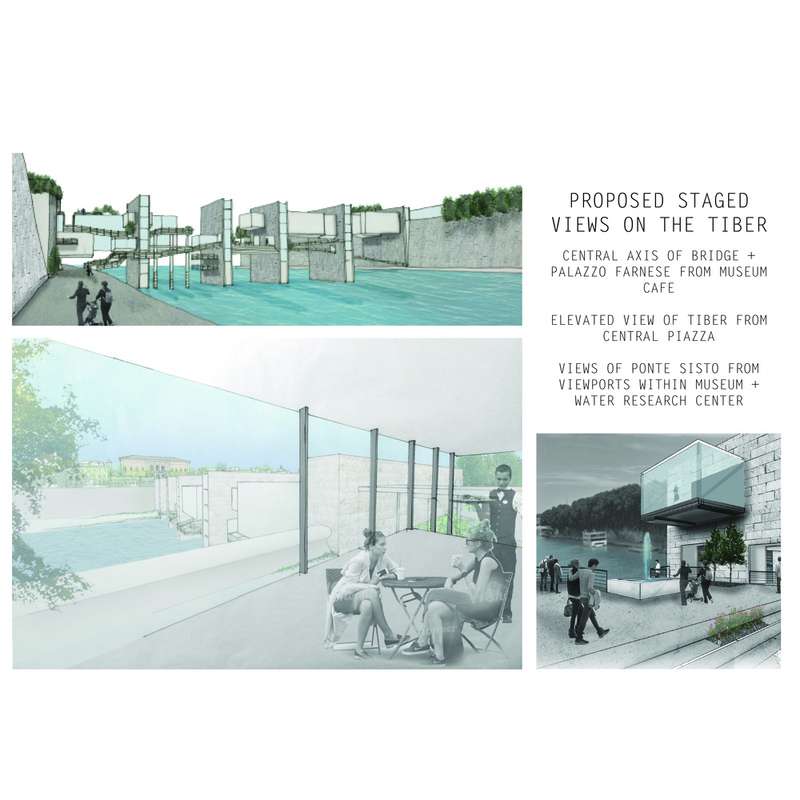 The result of this proposal would ideally be new perceptions of the Tiber River and its urban context, achieved through the framing of vignettes of the city from permeations in the repeated walls, the selected openings within the museum and water research center, and the meandering garden paths that position pedestrians in new ways.